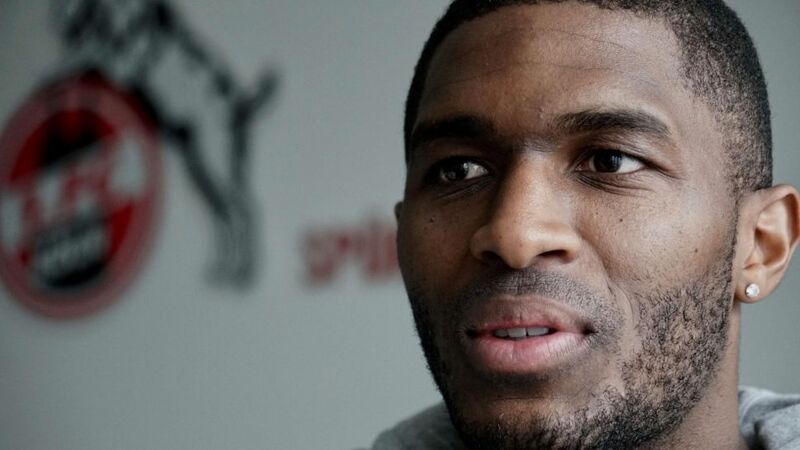 Bundesliga | Anthony Modeste: "Everybody dreams of Europe, and Cologne can make it come true"
Anthony Modeste has his sights set on realising a dream by qualifying with Cologne for the Europa League this weekend. Anthony Modeste: "Everybody dreams of Europe, and Cologne can make it come true"
The tension is rising. Cologne can book their place in the UEFA Europa League next season by beating Mainz, just as long as Freiburg do not win at Bayern Munich. Question: Anthony Modeste, you can help Cologne return to the European stage for the first time in 25 years this weekend – is that also a dream of yours? Anthony Modeste: It's not only a dream of mine, but also the dream of every single player and fan of Cologne, and also the club's dream. We can do it because I don't think Freiburg are going to win in Munich, but we've still got to ensure we win our own game. Question: Do you also aim to add a few to your tally of 25 goals for the season? Modeste: I'm just doing my job. Before the season started, I said that I wanted to score more goals than last season and qualify for the Europa League. Now we've got that chance and we've got to do everything we can to succeed. Question: You say you want to qualify for Europe with Cologne, do you also want to play in Europe with Colognee? Modeste: I've got a contract until 2021 and I'm now focusing on this final game of the season, then we will see what happens after the end of the season. Question: Does your future depend on Cologne qualifying for Europe? Modeste: Before the season, I said that I didn't want to get to the end of my career without having played in the Europa League or the Champions League, and now we can do that. Question: This is the best season of your career so far – how do you explain your explosion? Modeste: I've scored a lot this season after a good pre-season and now I've got a personal coach, which is a bonus. Question: Where does this final game of the season rank in your career? Modeste: Every game is important for me, but this game against Mainz is very important for the club and of course the same goes for me. It's an opportunity for the entire city. Question: Will it prompt a repeat of Carnival in Cologne in May? Modeste: I don't know. Besides, every day's Carnival in Cologne.